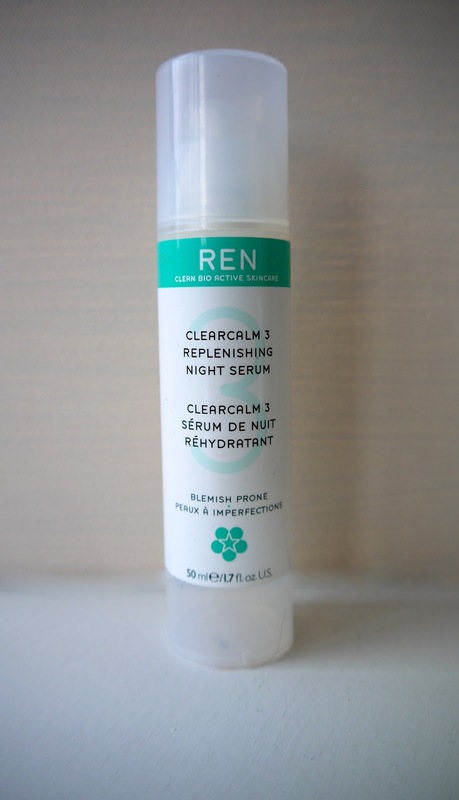 REN is a brand I had been hearing a lot of in the blogging world, so when I was in the market for some new skincare products I took a gander at their range. The brand is all about their 3 'p's. Performance, Purity and Pleasure. Essentially they want consumers to see results, enjoy the fact that their products have no synthetic ingredients (plant and minerals only) and want them to enjoy using their products! I purchased the T-Zone Balancing Day Fluid and the ClearCalm 3 Replenishing Night Serum. I got them from ASOS, and yes, I used my UNIDAYS discount of course! I bought the T-Zone Balancing Day Fluid as I often get an oily T-Zone during the day, and with summer coming up I knew I would be needing all the help I could get to try and avoid a shiny face! 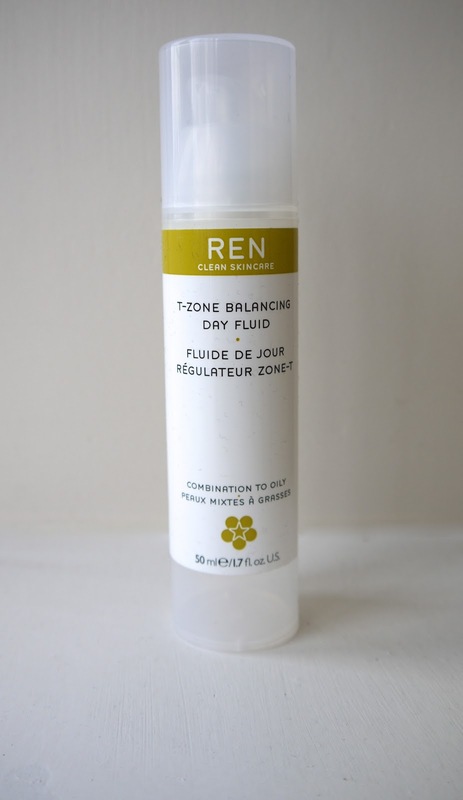 The product worked well, my skin was hydrated but not greasy or sticky. I still found myself with a shiny nose, but I would put that down to me more than anything; I'm not sure if there will ever be a product to prevent that! I am quite particular about my skin so as much as it is fine to use the same moisturiser for day and night, I like to have two separate ones. The ClearCalm 3 Replenishing Night Serum is my favourite out of the two moisturisers I bought. After I cleansing my skin, this feels so luxurious once applied. It melts right in and is super-hydrating; something I like to feel in a night cream so my skin will be refreshed and look healthy in the morning. After enjoying these two products, I am tempted to get something else from the range. It will be something for a particular skin care concern of mine, like pigmentation. I'm thinking either a mask or a serum; of course, I will let you know if I do end up making another purchase!